CHICAGO (WLS) -- A Chicago mother has been charged after prosecutors say her three young children were found with various broken bones and other injuries. 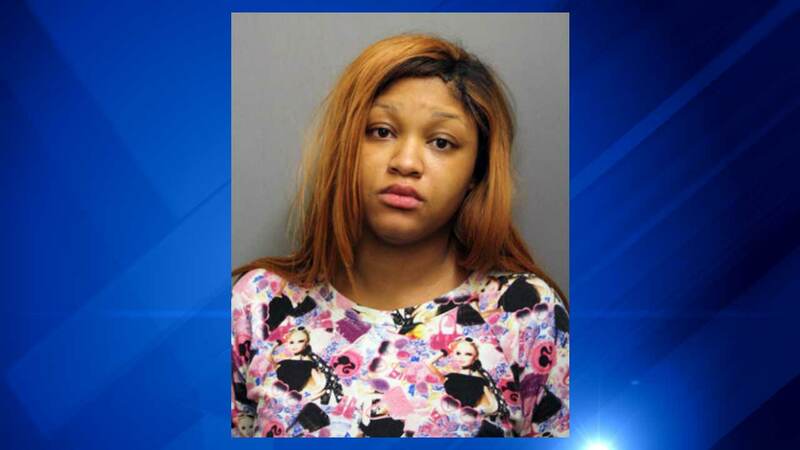 Destinee M. Hobson, 20, was ordered held in lieu of $200,000 bail Sunday after authorities were alerted to the alleged abuse on Thursday by the children's father, who discovered bruises on the arm and chest of his 17-month-old son Wednesday, according to Cook County Assistant State's Attorney Jennifer Walsh. He then contacted the Illinois Department of Child and Family Services. Police had to knock down the door of the residence in the 7000-block of South Harper Avenue in the Grand Crossing neighborhood on Thursday, and found clothing and vomit on the floor, along with three unsupervised children. Hobson was later found hiding under the stairs, Walsh said. The children were taken to Comer Children's Hospital, where the 17-month-old boy was found to have fractures to his left and right shoulders that were in various states of healing, as well a broken right arm. A 2-year-old girl had multiple scars on her arms and back that her mother could not explain, and a 5-week-old boy suffered a fractured elbow. The 17-month-old remained at the hospital, while the other two children have been placed in DCFS custody.